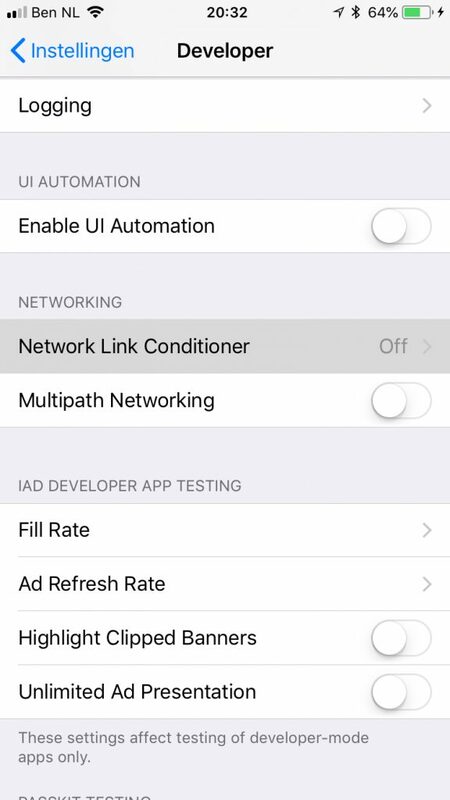 The Network Link Conditioner on iOS and macOS enables you to test your app in networking conditions like your users might have while using your app. It allows you to simulate networking conditions like 3G, Edge or High Latency DNS. 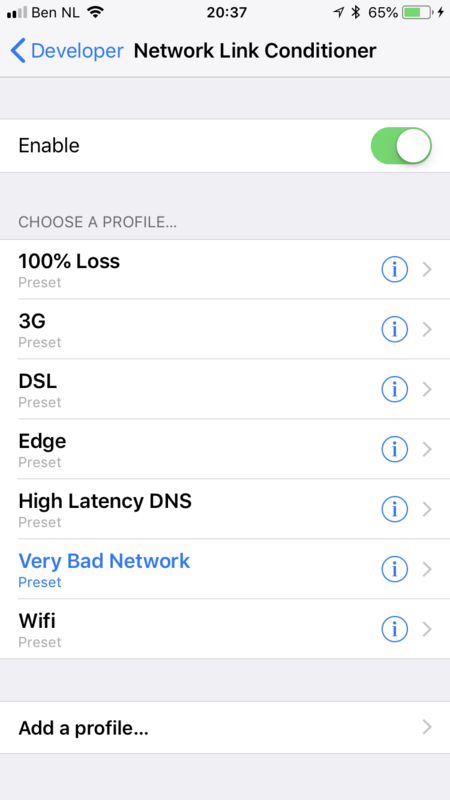 You can find a Networking section inside the developer page of the Settings app of iOS. Besides enabling Multipath Networking you can navigate to the Network Link Conditioner, which is disabled by default. You can read more about Multipath Networking here. 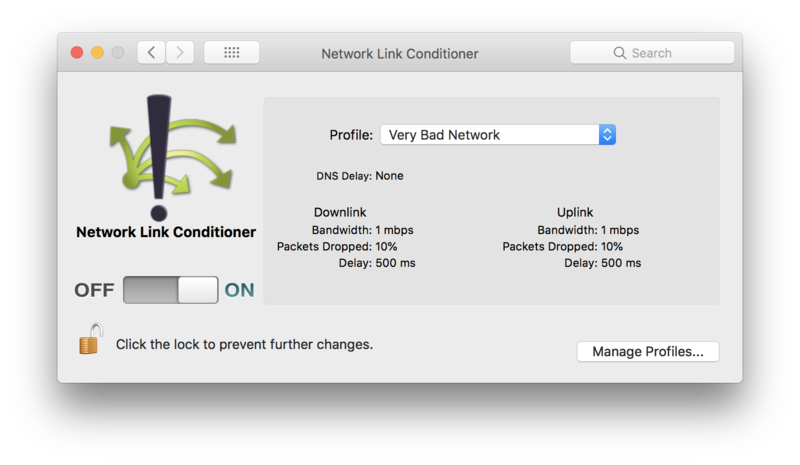 A list of default presets can be found on the Network Link Conditioner page. You select a preset by tapping one of them. Enable the switch to test your app on the selected preset. A custom preset fitting your needs can be defined by navigating to the Add a profile page. Before you can use the utility on MacOS you need to install Additional Tools for your current Xcode version. 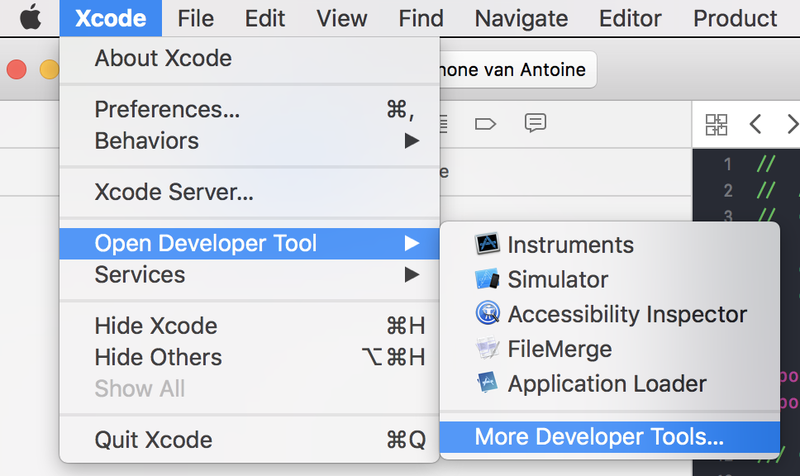 By navigating to Xcode Main Menu > Open Developer Tool > More Developers Tools you’re able to download the tools after logging in. Inside the downloaded .dmg you can find lots of interesting utilities. The Network Link Conditioner can be found inside the Hardware folder. By double-clicking the app you can install the utility in your System Preferences. The application is quite similar to the iOS variant and also contains a list of custom presets. These can be used to simulate a range of Network conditions. Besides of that, you’re able to define your own preset in the Manage Profiles page. 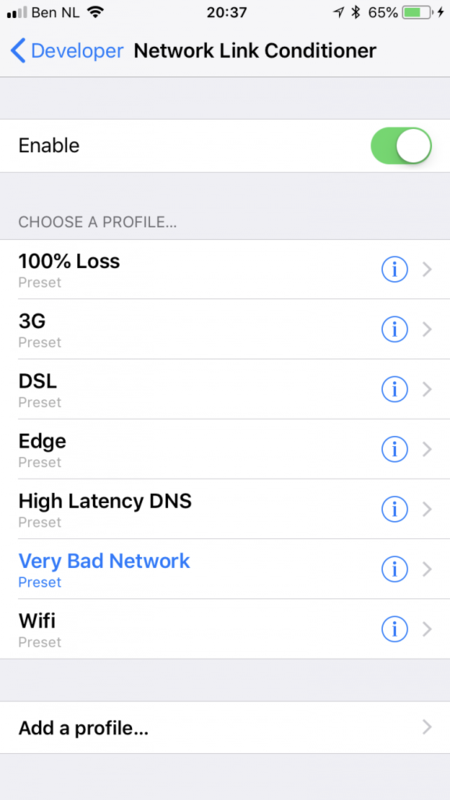 After selecting the preset and enabling the switch you can start testing your Mac OS app or your iOS app in the simulator while simulating the Networking preset.